To celebrate the release of our How to Rock Sports series of sports instructional apps for kids, we've got a special offer for our readers. Starting today through July 15th, you can download The Joy of Youth Sports for free! And if you haven't checked it out already, take a look at our free Let's Play Ball app on the Google Play store. 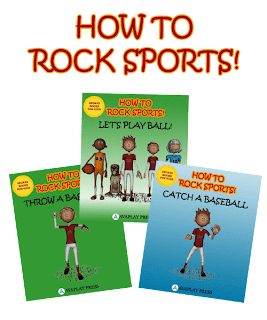 This is an introduction to the How to Rock Sports series and includes a number of instructional tips that can help a young child get in the game and have more fun. Finally, if you're looking for a gift for your older athlete, check out The Young Athlete's Guide to Playing Sports: What Every Athlete Needs to Know to Play, Win, and Have Fun. Endorsed by leaders in the sports community, this book contains tips, techniques, and approaches that will help any player, in any sport, improve his or her game. It's also an excellent read for parents who want to provide guidance and instruction to their child.